The former United Nations high commissioner for refugees looks back on a decade’s work. Such bureaucratic language does little to explain the human dimension of these crises, and Ogata’s book is bloody but rather bloodless. 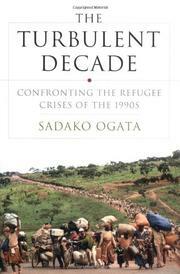 Still, it makes a useful insider account of the complex politics of humanitarian enterprise.